These 4 delicious mini jams go perfectly with a range of cheeses. This set makes a lovely gift or would be ideal for a dinner party or just to enjoy at home either as part of an antipasto or at the end of your meal. 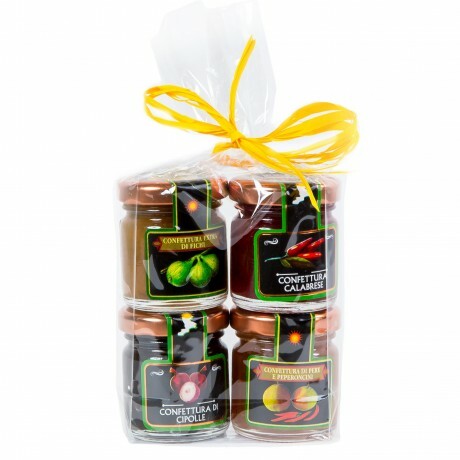 Chilli and pear jam (good with mature cheese such as Pecorino and Parmesan).